Printer Components - Ming Chiang Precision Co., Ltd. Manufacturer and distributor of custom and standard printer components and parts. Offers High Quality Metal Stamping Parts. Capabilities include designing, engineering, rapid prototyping, injection molding, insert molding, CNC machining and tooling. Components such as injection, insert and molded components can be fabricated. 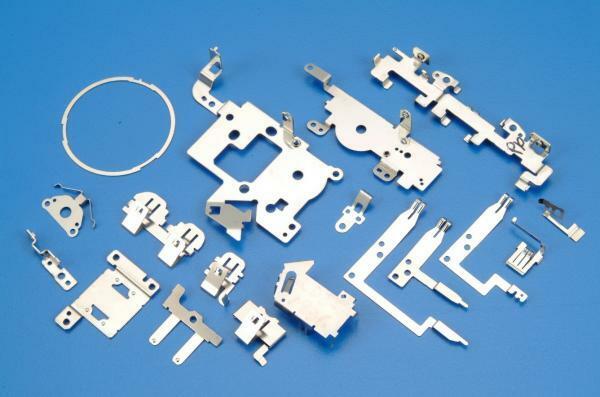 As an experienced metal parts manufacturer, we provide many metal components for different devices and equipment. We offer quality components for computer, scanner, cell phone or printers. The print interior components are provided in a complete series to meet every demand for the printer. In order to achieve the smooth printing work, the quality of the components is vital. In case you can’t find the supplier of your printer, we provide convenient OEM service for your replacement. Not only do we provide quality print interior components but also serve professional technology on manufacturing related metal parts. Please do not hesitate and get your quote today for more quality metal components.